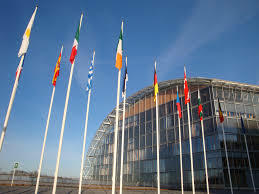 The European Investment Bank (EIB) has ringfenced €4.3bn worth of finance for 20 major new public and private sector projects. Senior figures at the EIB met this week to confirm investment into businesses, transport, health, energy, education and telecom infrastructure across the continent. European countries standing to benefit from the backing include Belgium, where low-energy replacement of smart street lighting will be paid for on 2,700km of its roads, and Finland, where funding will be provided for new hospital facilities. Money for new business investment with local partners in Greece, Italy and Poland was approved while research and development investment by companies in France, Germany, Italy and Spain will also be financed through direct corporate lending. “New investment to upgrade clean energy, sustainable transport, healthcare and communications is essential to improve lives and strengthen economic activity,” said Werner Hoyer, President of the European Investment Bank.